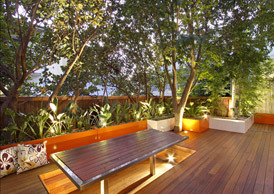 Located in Chiswick the existing garden and roof terrace were very neglected and underused. 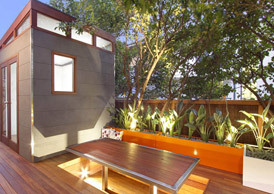 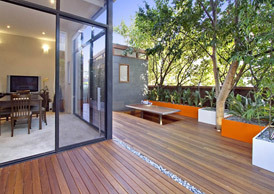 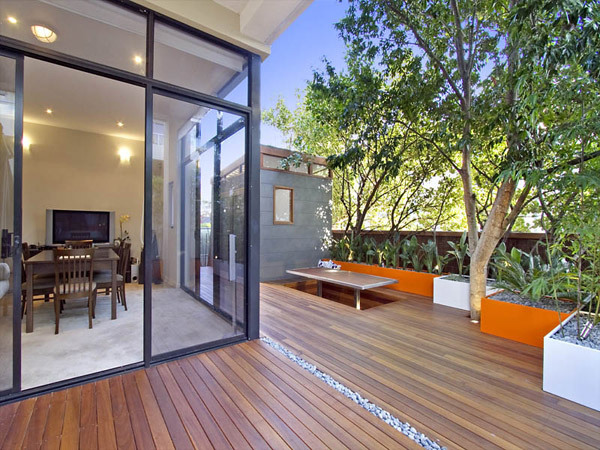 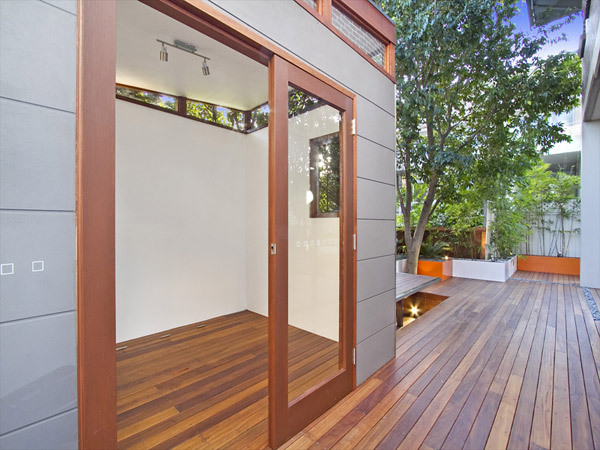 The brief included an area for entertaining, and area for the existing day bed and a new shed. 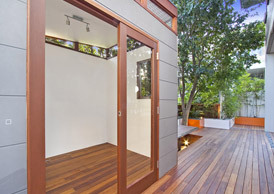 Quite a demanding brief given the small size of the space. 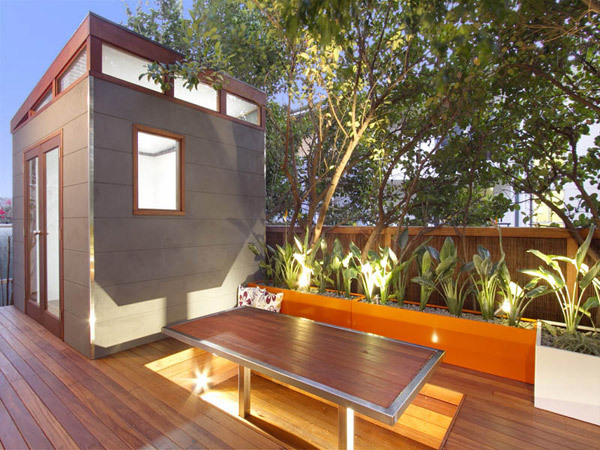 The shed needed to be somewhat different from the average as there was no way of hiding or disguising it. 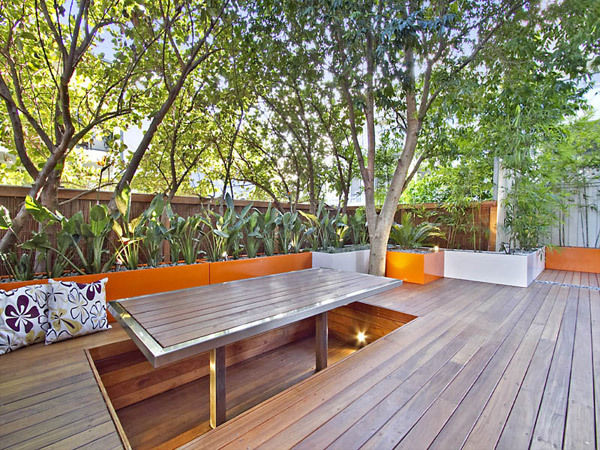 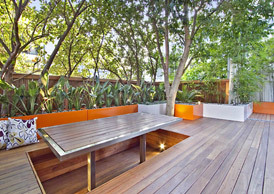 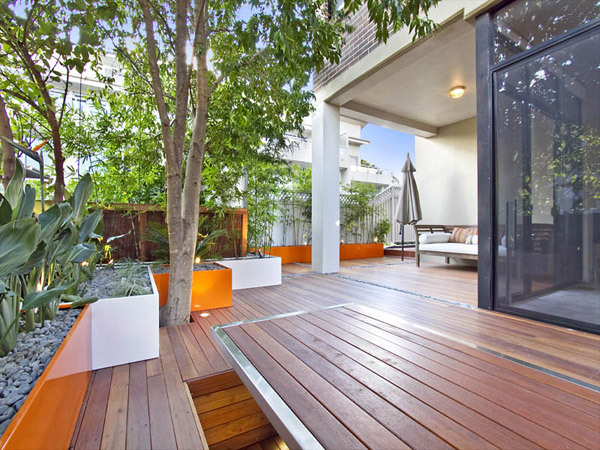 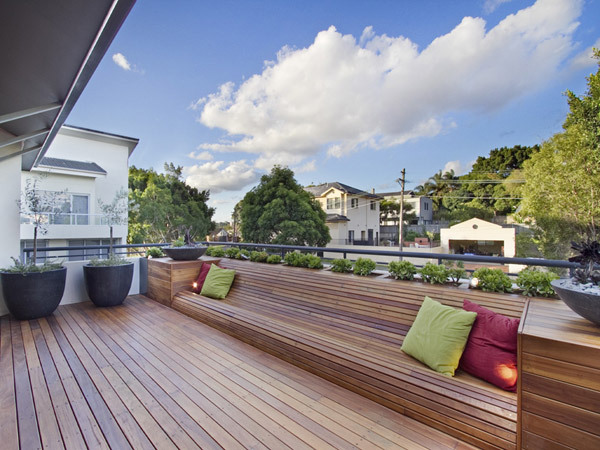 A sunken seating area was created to make a bold focal point and to maximised the space. 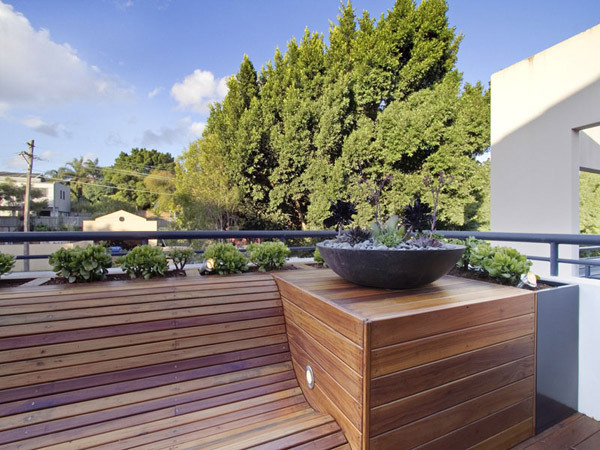 Custom made planting troughs around the perimeter soften the boundaries and supply screening and a vivid splash of colour. 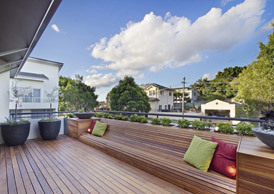 The roof garden required a complete overhaul with a curvaceous day bed being the main feature. 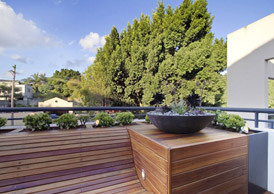 In time once the Olives have grown and the Crassula planted behind the seat fills out it will be a very private area. 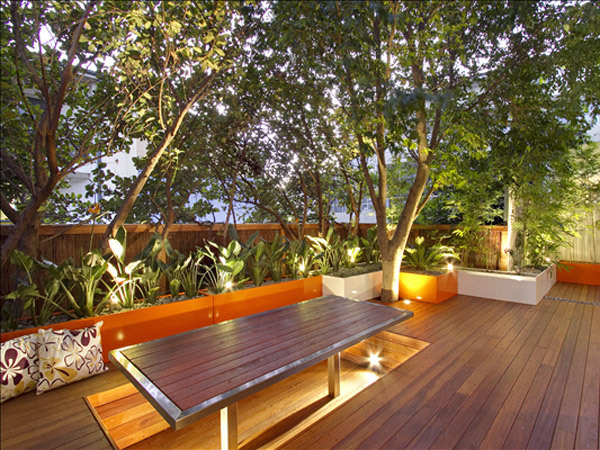 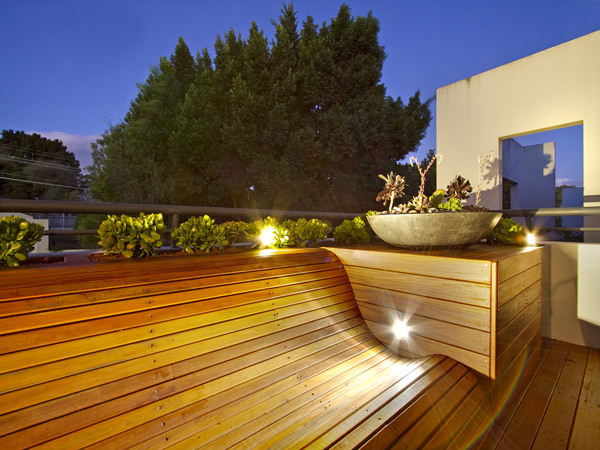 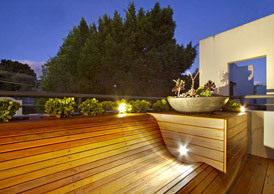 Extensive lighting in both garden areas really accentuate the party feel of the spaces. 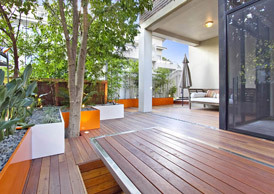 The clients are absolutely delighted with the garden areas and are the envy of all their friends.